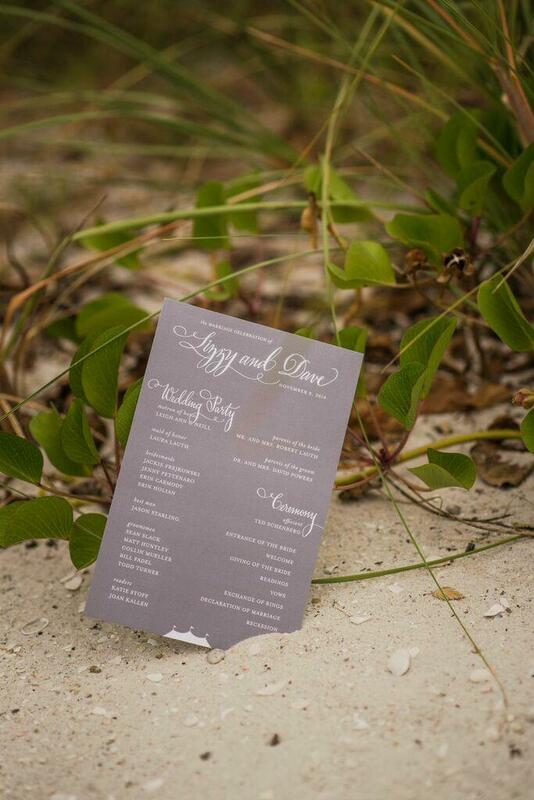 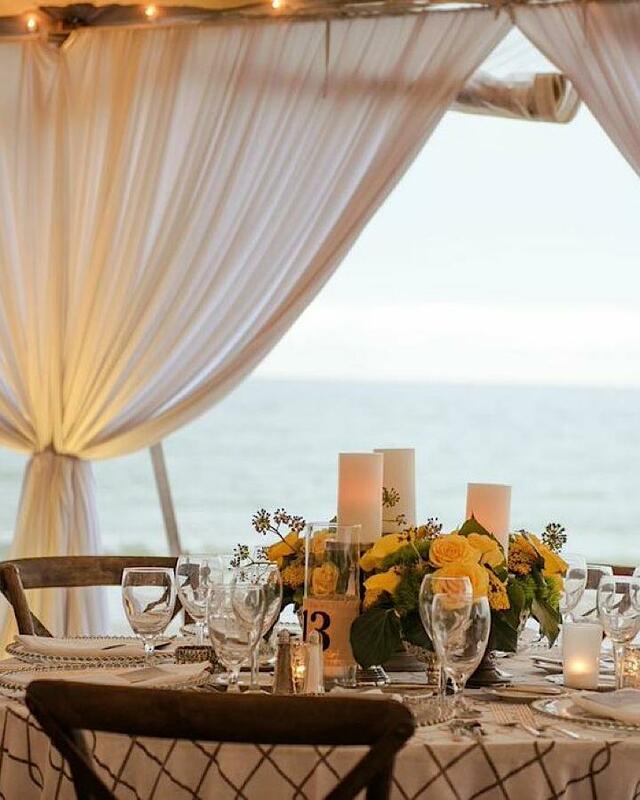 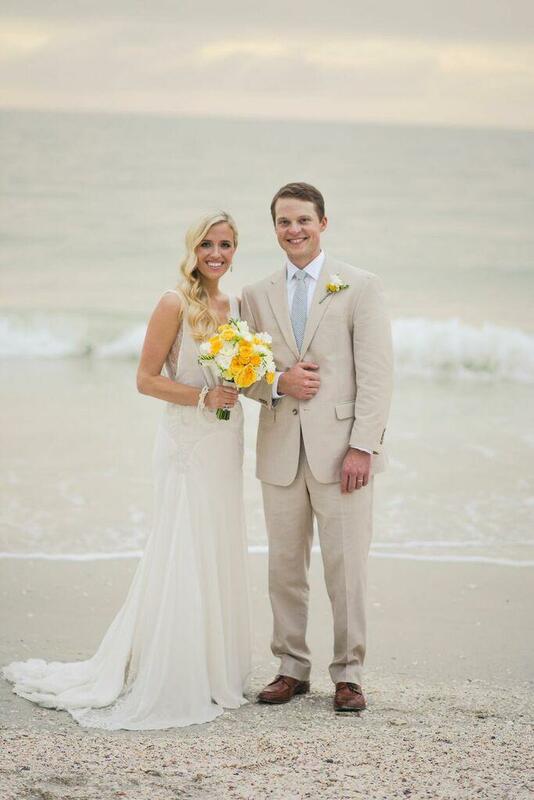 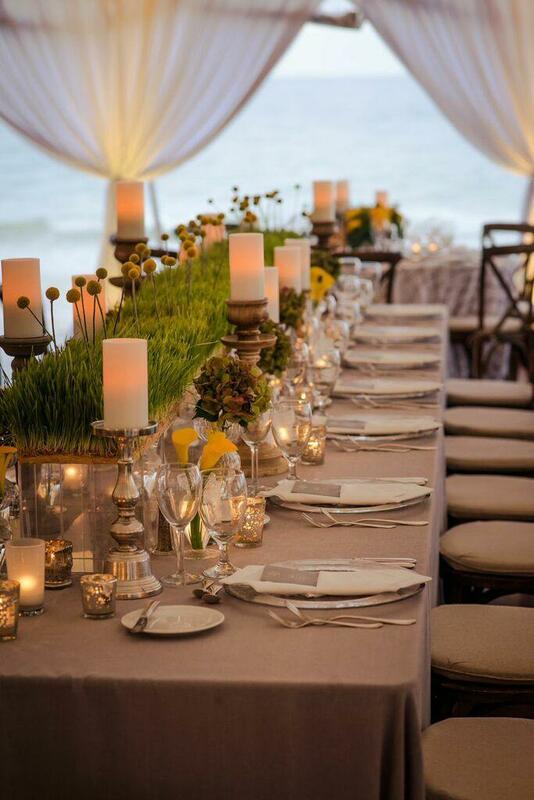 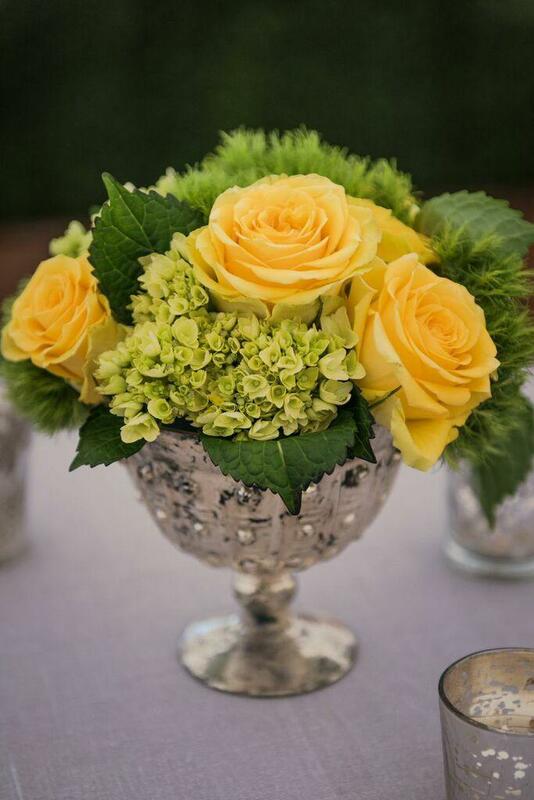 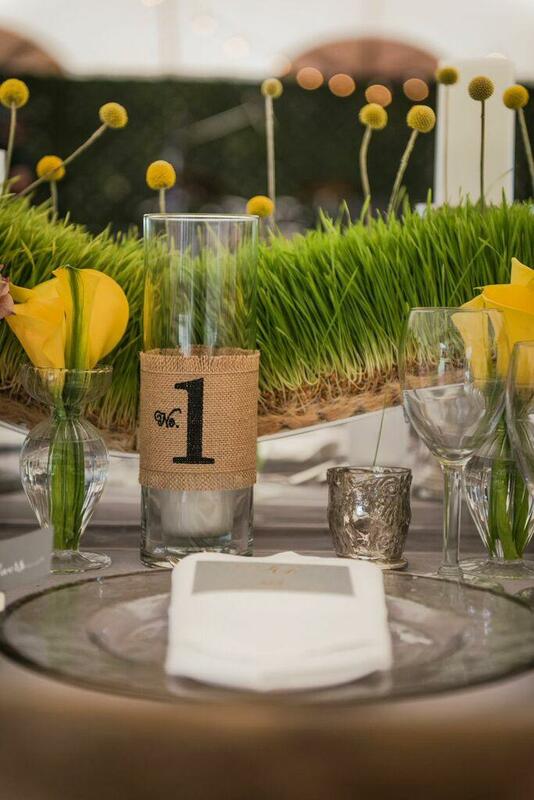 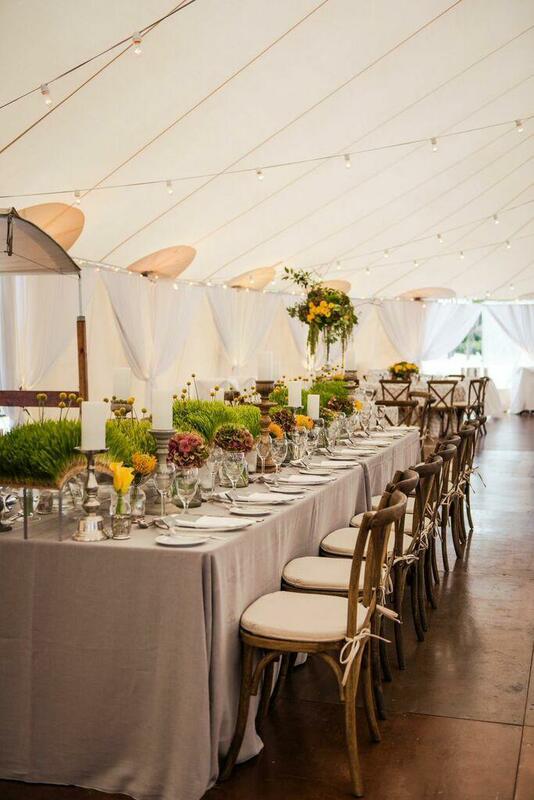 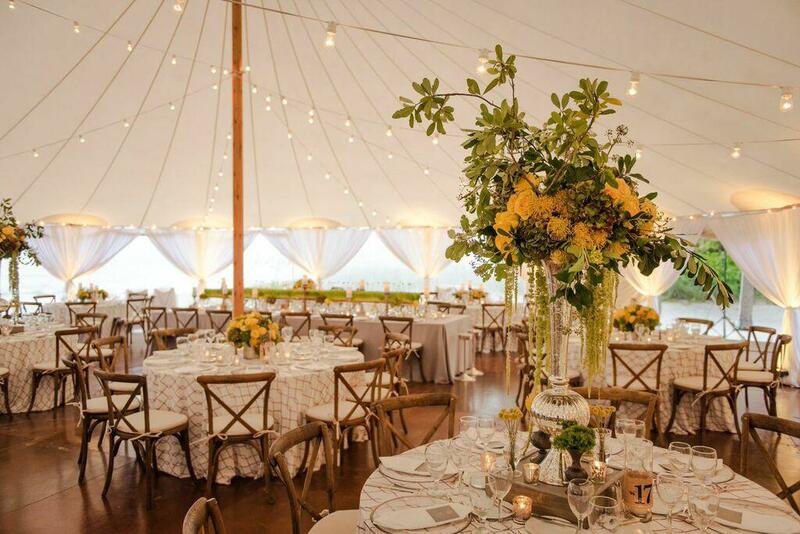 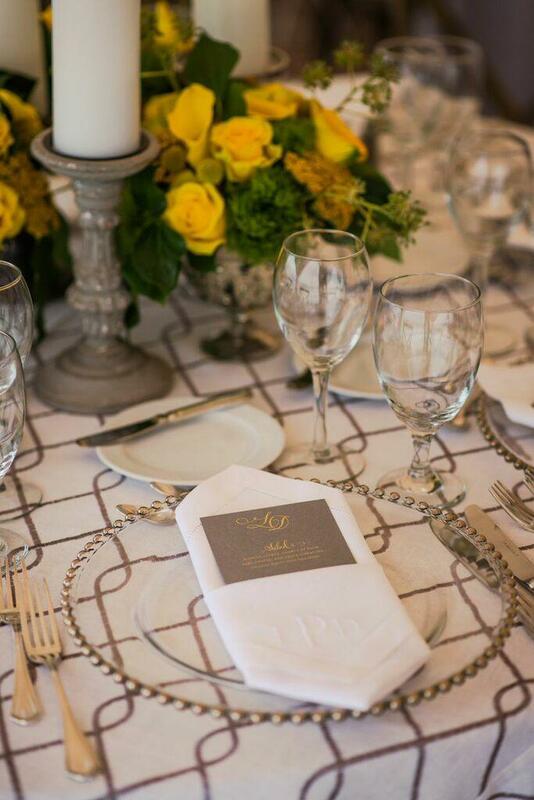 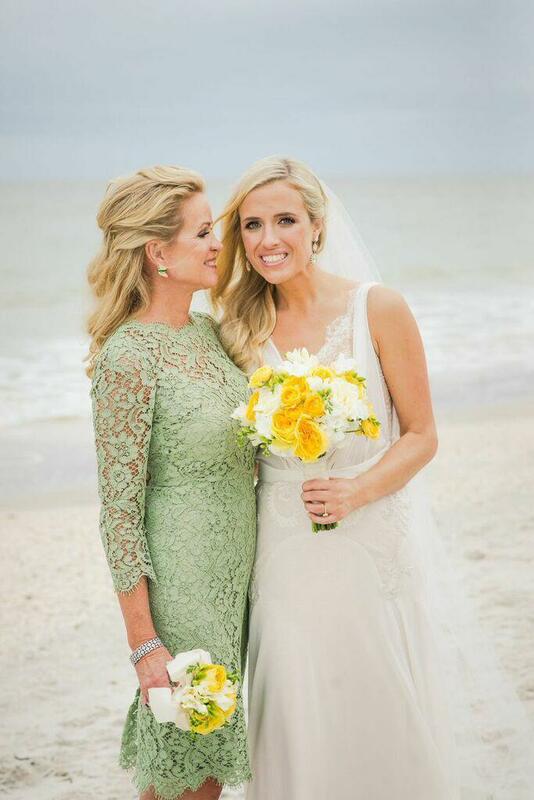 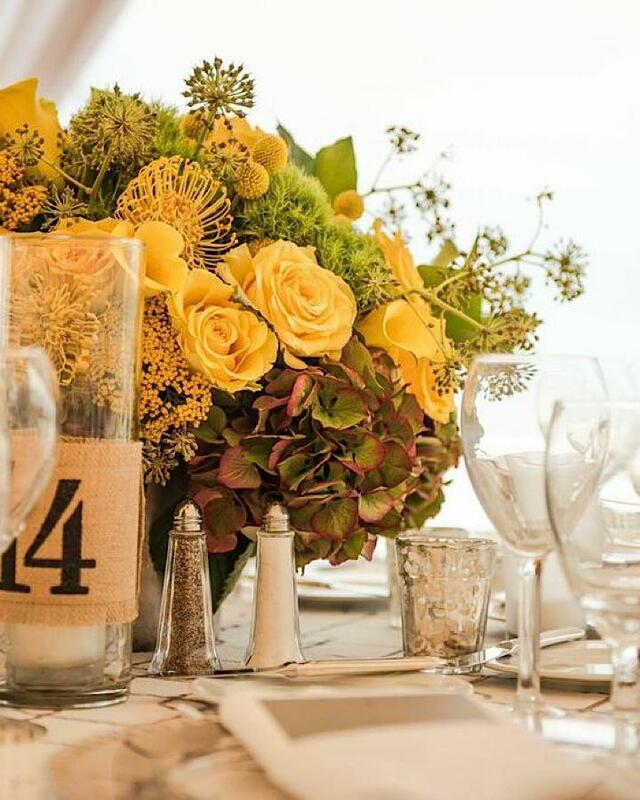 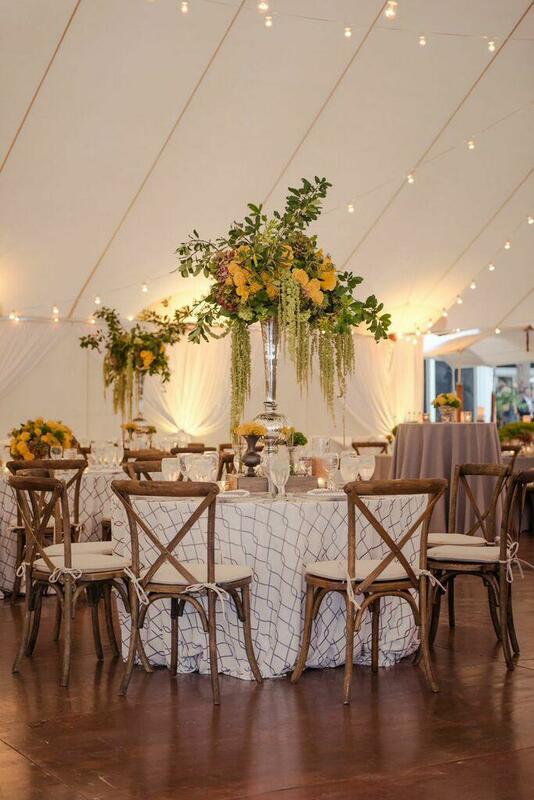 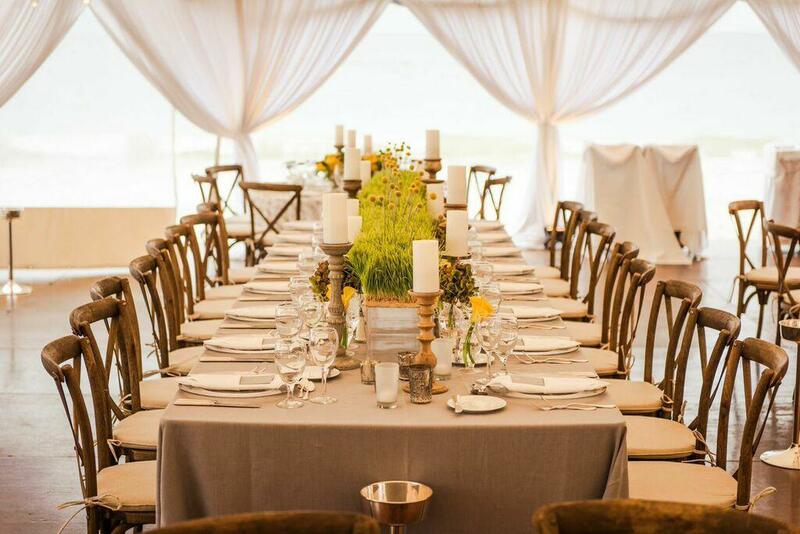 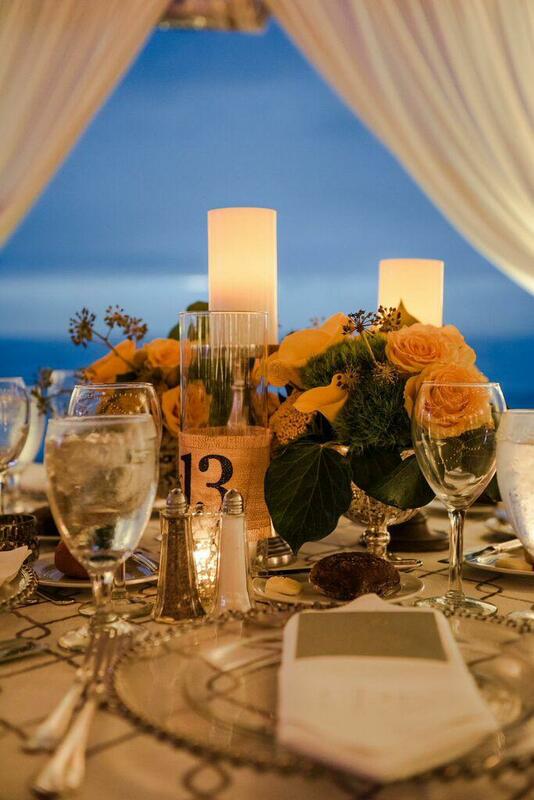 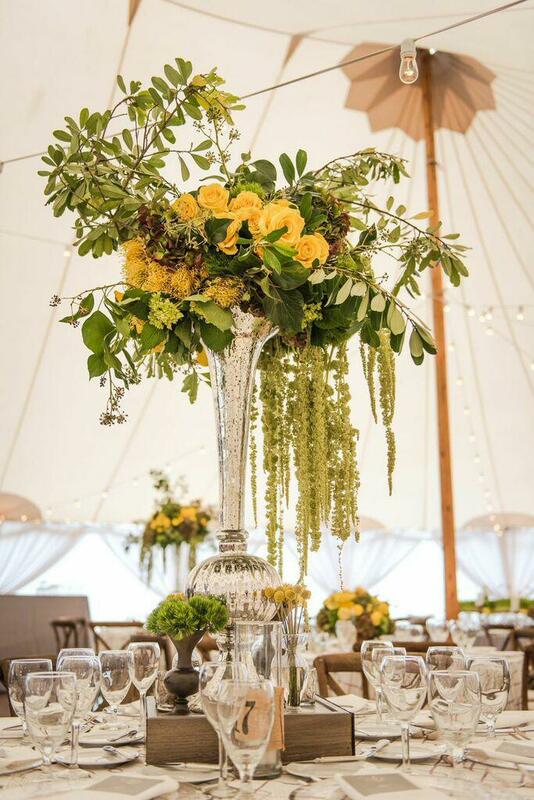 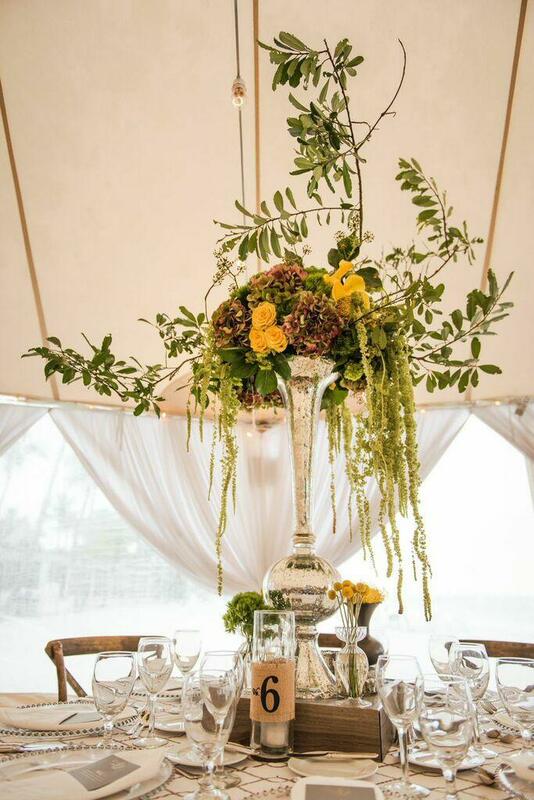 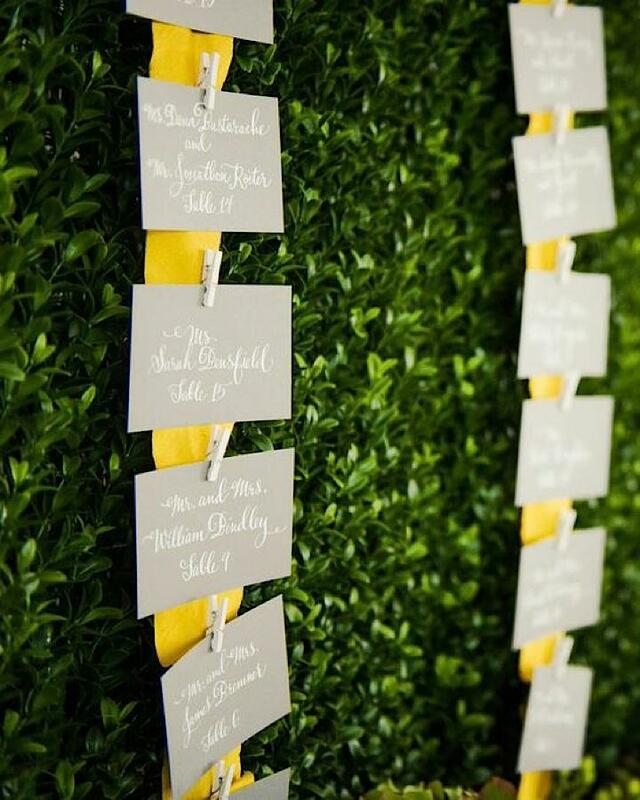 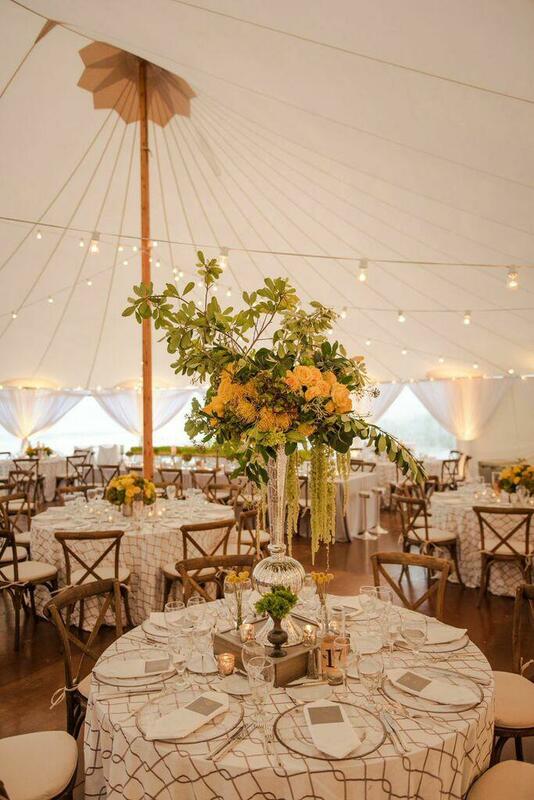 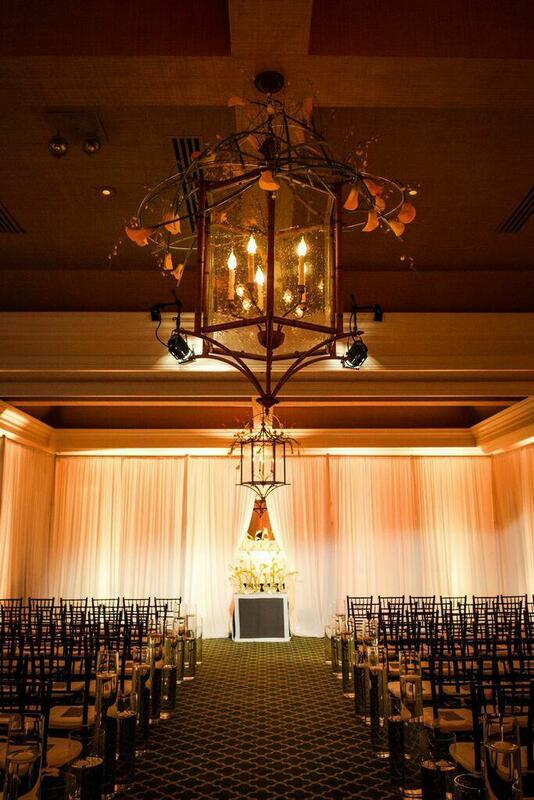 This brilliant Florida wedding shines bright with the most energizing canary and pewter decor. 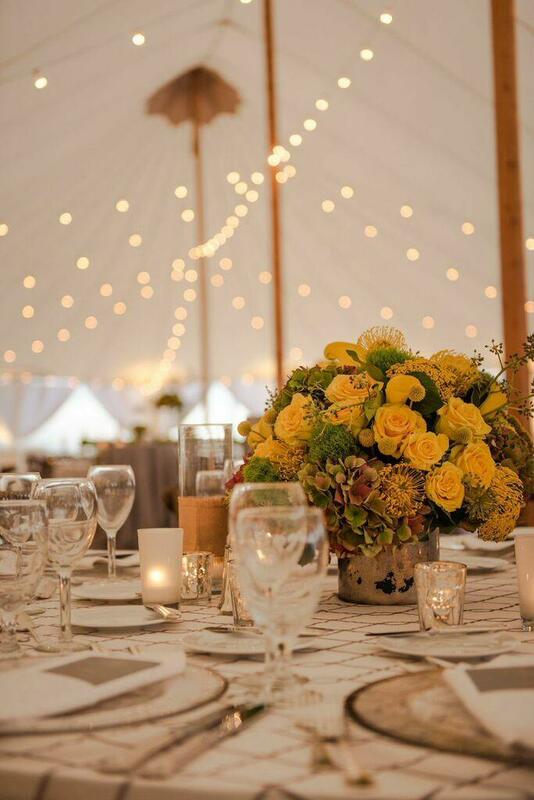 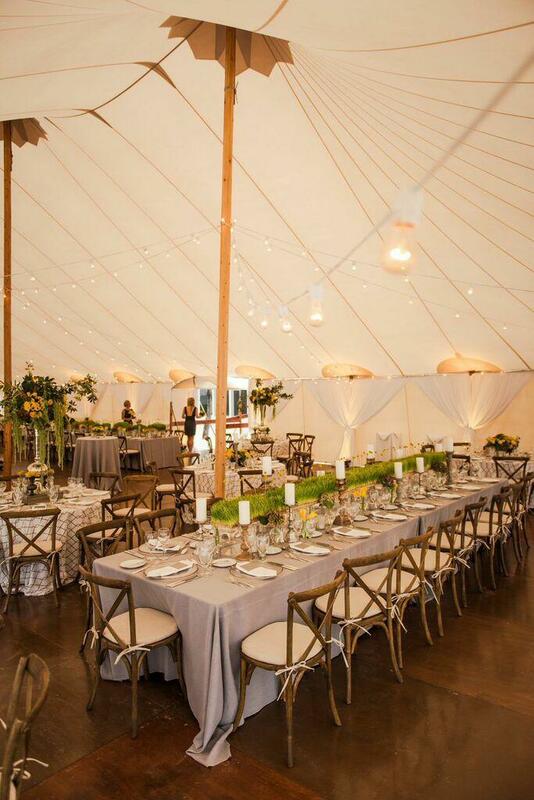 Under an airy tent with strung lights and grand centerpieces, Lizzy and Dave tied the knot with an utterly intimate outdoor affair. 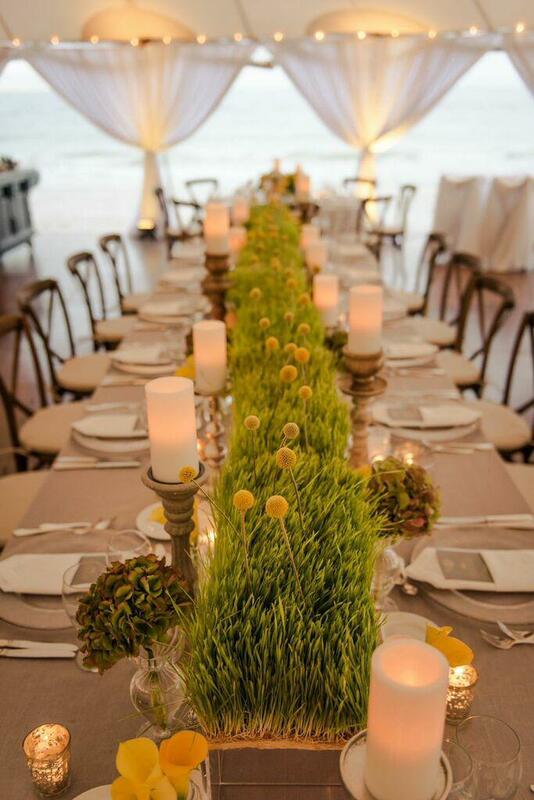 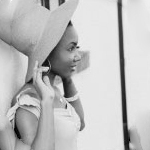 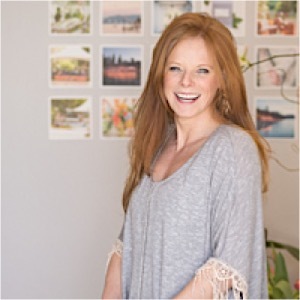 The adorable couple entrusted Anna Lucia Events with planning a spectacular event, and that’s just with they received. 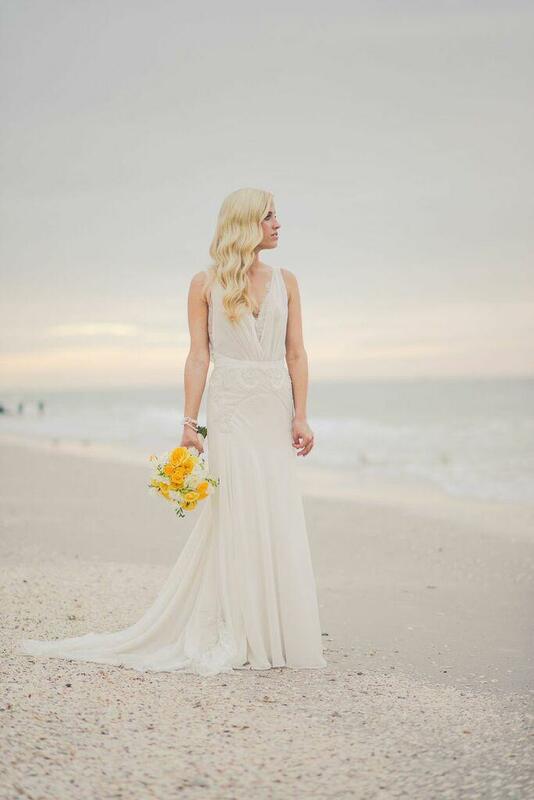 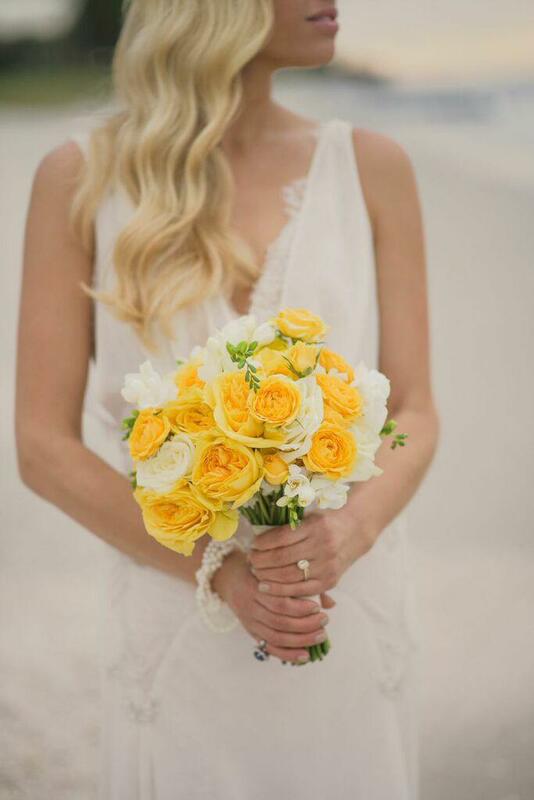 Thanks to photographer Ryan Joseph, we’re sharing the inspiring photos below from one stylish beach wedding full of romance. 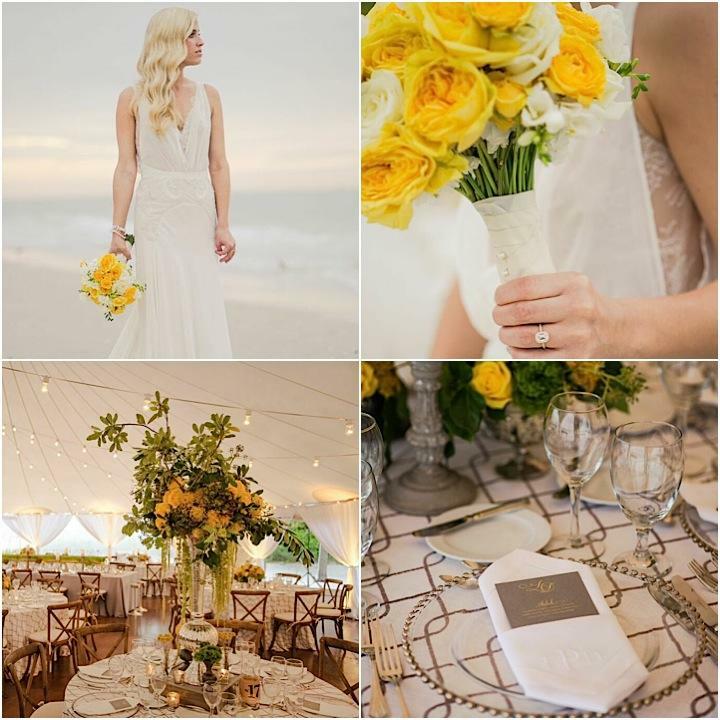 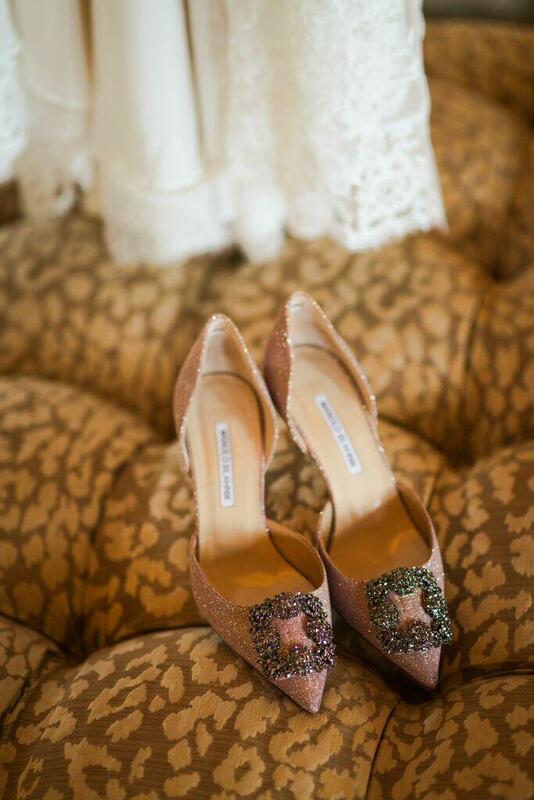 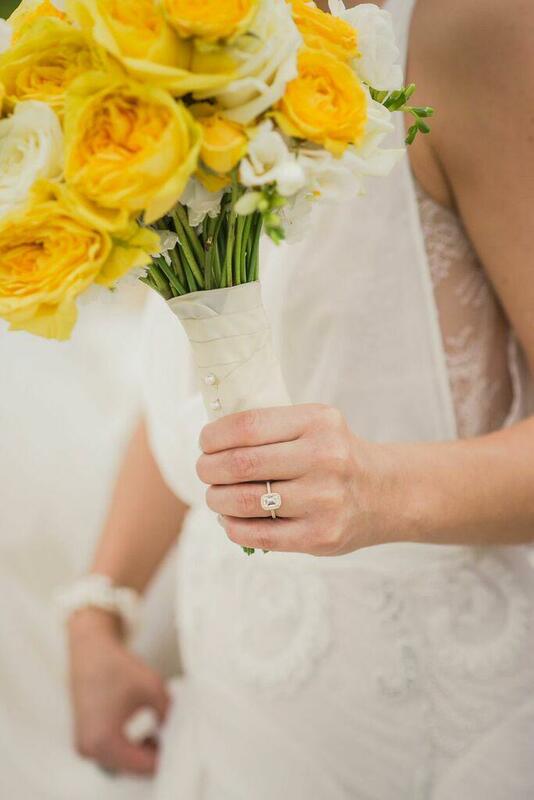 Click here to see more gorgeous real weddings from Anna Lucia Events!